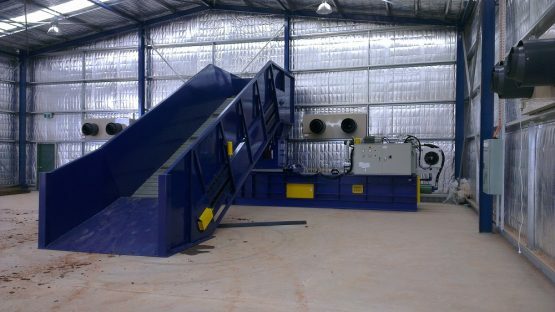 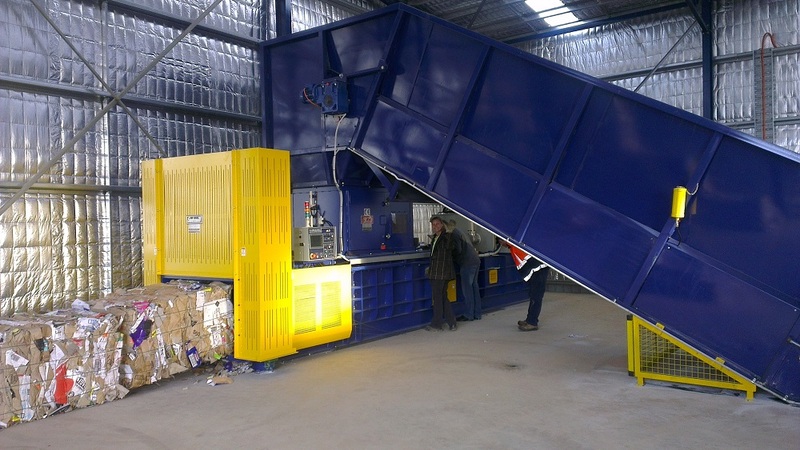 Baler feed unit – above ground end push conveyor with heavy duty inclined ramp. Above ground solution with closed door baler. 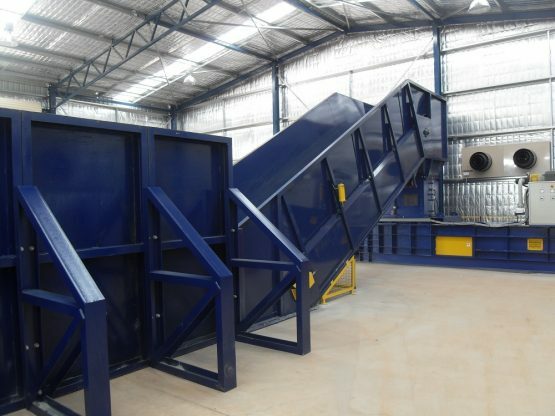 1500mm wide live feed area, 15,000LB chain, 28deg incline with straight head. 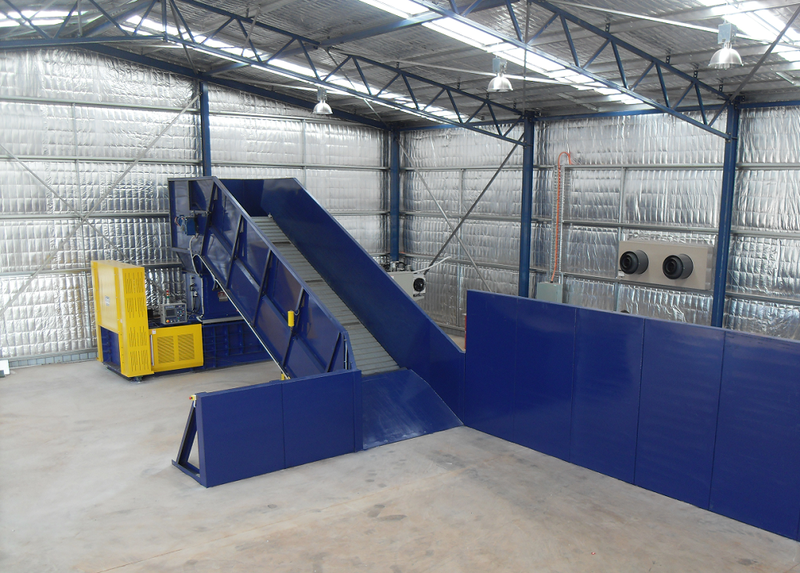 Prefabricated bolted sectional push walls 1500mm and 2400mm high.